Fasting is an essential part of a Christian relationship. At Gateway we fast together; three times a year beginning with our Daniel Fast. If you have never fasted before, it allows you to seperate yourself to pray and focus on the Lord. 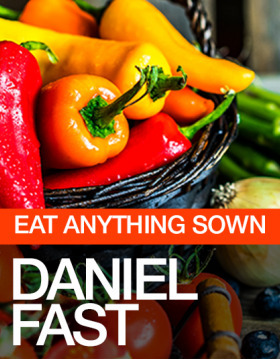 While the Daniel Fast does focus primarily on a fasting diet there are other ways to fast as well. If you have special health circumstances do consult with a doctor before starting to fast. Breakthroughs and remarkable things can happen through fasting! Below you will find a brief guide to help with what foods are acceptable. Bascially you can eat anything sown in the earth.